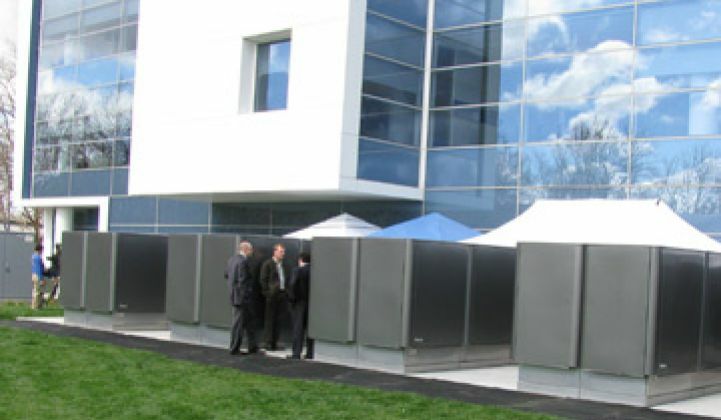 Bloom Energy’s Fuel Cells-as-a-Service: Do the Economics Work? Why buy the $750,000 box when you just need the energy? Plus, manufacturing boosted to one Bloom Box a day. Bloom Energy is taking a page out of the solar playbook and starting to market its solid oxide fuel cells as a service. It also avoids the risk that the fuel cells might start to become less efficient over their ten-year run or require more repairs than anticipated, a valid concern in the new and unknown world of solid oxide fuel cells. "All they do is lower their bills," said Asim Hussain, director of product marketing. Can the company make money off this? It's hard to say, but rising power prices, low gas prices and declining prices for manufacturing these boxes will certainly help. In California, commercial customers pay 14 cents a kilowatt hour for conventional electricity, he said. Apply a 5 to 20 percent discount to that and Bloom is likely selling power to these customers at 13.3 to 11.2 cents a kilowatt hour. Customers that are buying Bloom Servers say the boxes generate power for around 7 to 10 cents a kilowatt hour. Adobe specifically said that its boxes generate power at 8.5 cents per kilowatt hour (down from the usual 13 cents a kilowatt hour) and Adobe feeds it more expensive biogas. These numbers include the 30 percent federal tax credit and California state incentives of around $2.50 a watt for regular gas and a whopping $4.50 a watt for biogas. Bloom thus has a potential margin of around 3 to 6 cents a kilowatt hour, including the incentives. There are worse ways to make a living. Note, however, that California has some of the highest rates in the country and many states do not have the same local-level incentives. Nationwide, commercial/industrial power on average sells for 10.55 cents a kilowatt hour, according to the Energy Information Administration, and it sells for under 10 cents a kilowatt hour on average in the Southeast, Mountain West and in the Plains states. In those regions, Bloom likely isn't economical just yet. Thus, don't expect to see a lot of these in Minot soon. Bloom for now, in fact, will concentrate on California, Hussain said. 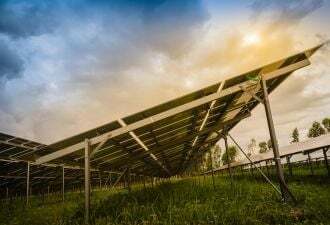 "The long-term challenge for Bloom is in bringing down the cost of the fuel cell as the subsidy subsides," said Sam Jaffe, research manager for renewable and distributed energy strategies at IDC Energy Insights. Bloom, he added, likely pays around 7 to 8 cents per kilowatt hour for its gas, if the gas comes under long-term contracts for $7 per million BTUs and the fuel cell is 50 percent efficient. Will the concept take off? If solar is any indication, the answer is yes. Sungevity, the retail solar installer, says that its customer base has almost completely converted from solar buyers to solar-as-a-service customers within the space of a year. The business has also grown tremendously. SolarCity and others report similar results. Bloom is currently in the process of installing a 2-megawatt fuel cell facility on the Caltech campus under the Electrons program, said Hussain. Since each Energy Server generates 100 kilowatts, the Caltech facility will have 20 boxes, making it the largest installation in the world. Companies and institutions participating in the Bloom Electrons program include Kaiser Permanente, Walmart and Coca-Cola. "Nobody wants to spend $800,000 to say they produce their own electricity," Jaffe added. Hussain added that production at Bloom is up to one Bloom Server a day, up from one per month two years ago. For now, Bloom will market its servers and services to provide baseline power. Conceivably, the boxes could serve as storage devices or provide jolts of peak power. Utilities are currently scrambling for energy storage and grid balancing technologies. Some companies such as Xtreme Power are installing battery banks at wind farms that do double duty as grid-balancing assets. Like batteries and unlike traditional peaker plants, the Energy Servers can also provide power quickly. It's an interesting idea, Hussain noted, but maybe for a later day. The company is also keeping an eye on ways to couple its fuel cells with electric vehicle charging stations. Some flow battery companies are looking at EV charging too. By installing a fuel cell, flow battery or other storage device, the fears about EVs spiking peak power consumption can decline. Cars charge from the storage device and the storage device gets recharged overnight.